Privacy and serenity surround this sun-filled home. 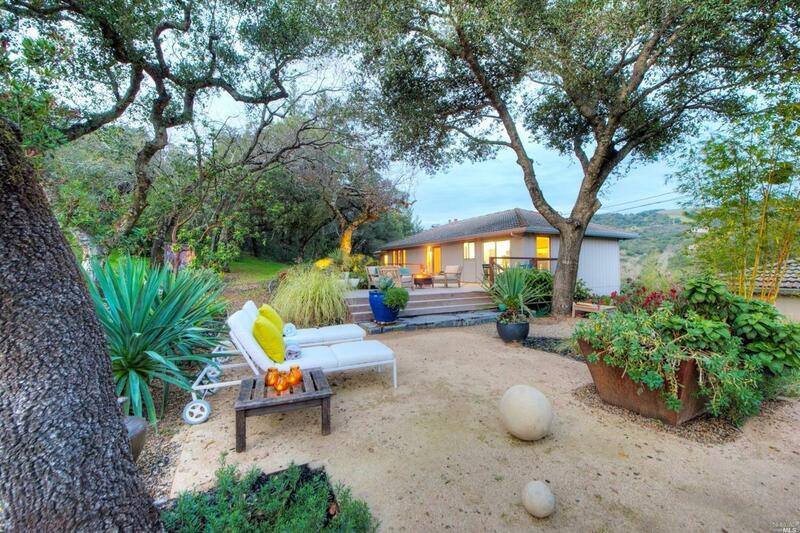 Enjoy vineyard views from the gated, oak-studded lot with designer landscaping located at the end of a lane. Remodeled kitchen with quartz counters, open floorplan & easy flow to multiple outdoor living spaces. Close to town, spa, wineries. This home can be either a 4 BR, 3.5 BA or kept as one-level living w/sep hi ceiling in-law on lower level. 2 car garage. Ideal wine country lifestyle!